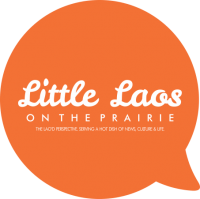 Little Laos on the Prairie – The Lao'd Perspective. Serving a hot dish of news, culture & life. I’m talking about the empowered Lao women who held her place to: de-mine UXOs, weave endless textiles, raise children post-war, and simply for all they’ve done to bring calm through the chaos of gender-based inequalities and socio-political struggles that plague our communities. Take note, Lao women ARE paving transformative journeys for themselves and we’re seeing a transition of acceptance and respect for their impact in our communities and changing the role of the ‘Lao woman’ forever. (To read the rest of this article, click here or click on the photo). Dear Guru: What's with the three-headed elephant symbol in Lao America? around the world, we’ve been amplifying Lao’d voices since 2011. All stories are searchable by topic, category, subject, tag, or author (found before/after each article). Go ahead, click the magnifying glass icon in the upper right hand corner or click the “Story Archives” dropdown menu below, to start your story search. Happy reading! Don’t forget to let us know your thoughts in our comments section or via social media! What Have We Covered Most?